Shown here in a natural oak finish, this contemporary wall hung bathroom furniture consists of a basin unit, tall wall mounted storage cabinets and open shelves. 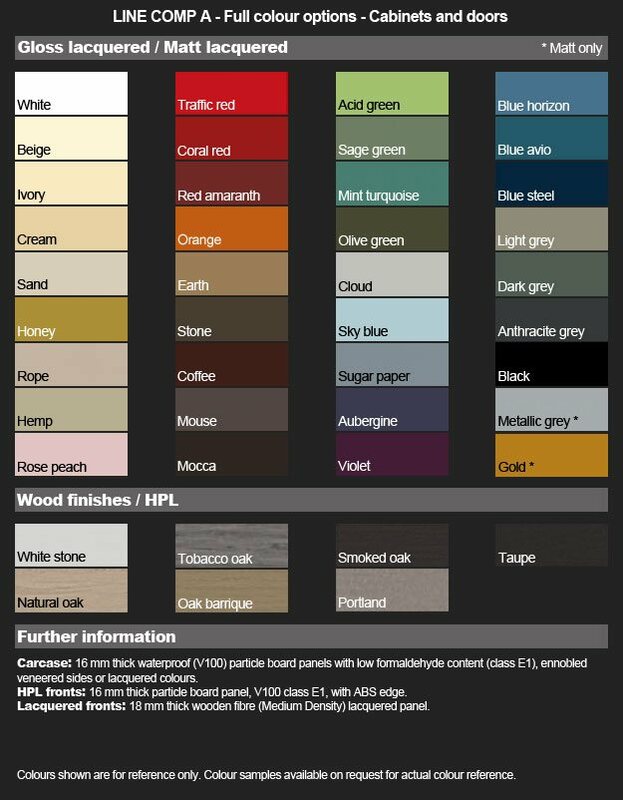 All cabinets are available in other woods plus many high gloss and matt painted finishes. The long cubic wash basin is also wall hung and made in a matt resin which is available in many other colours. 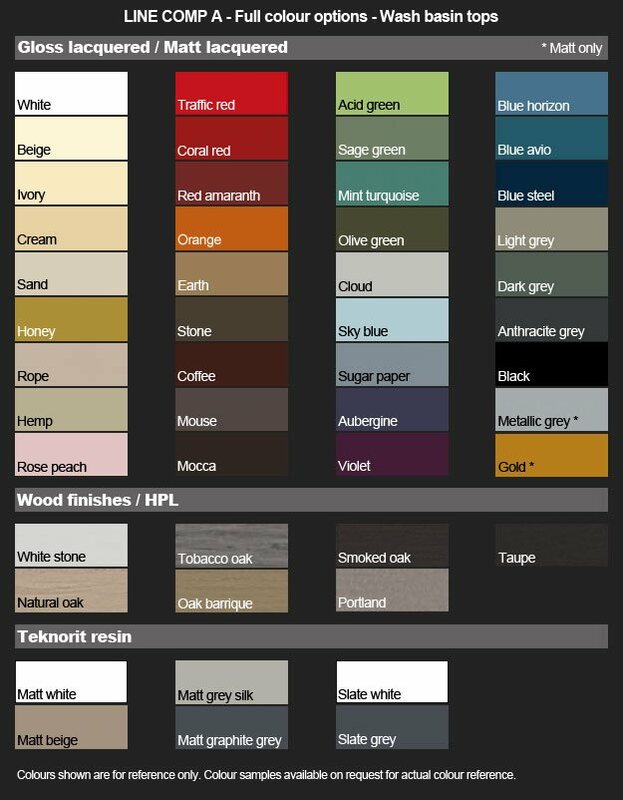 * 36 gloss and matt colour choices available. * Vanity units and drawers available in 5 wood effect finishes. * Wash basin top shown in Teknorit resin. 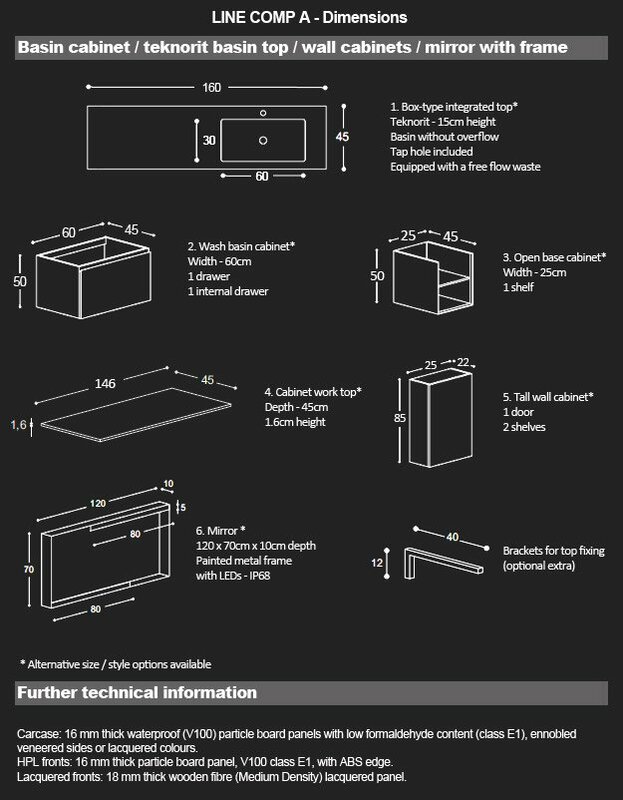 * Basin tops manufactured with 1 tap hole. * Allow up to 8 weeks for manufacture.